MLS#: 5644547 - Courtesy of Re/Max 100 Inc. 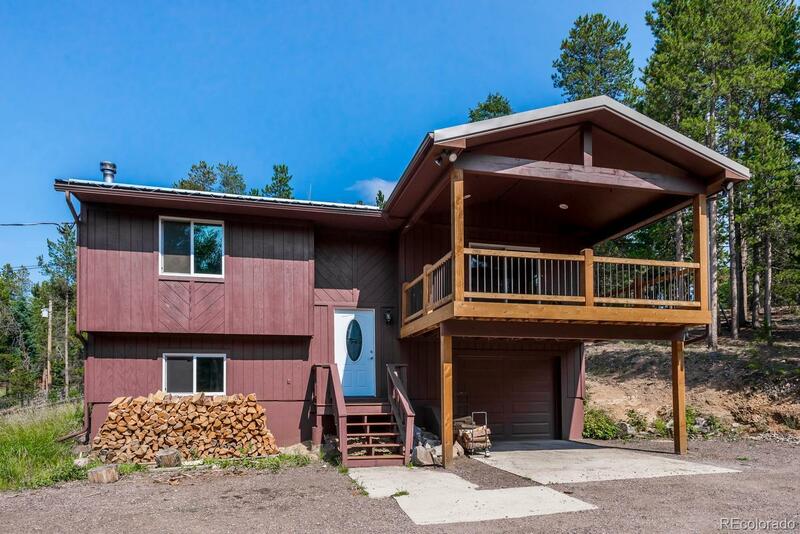 Updated mountain home on 1.65 acres that is turnkey and ready for you. Only 20 minutes from C470, and .8 of a mile off of Highway 285. Upper level features engineered hardwood floors throughout the spacious open floor plan, an updated kitchen with new cabinets, stainless steel appliances and granite counter tops, built in surround sound and a pellet stove on a thermostat. Sliding doors on upper level lead to a great covered Trex Deck with recessed lighting has and views of the woods and mountains. Lower level features a large family room with a wood stove, an additional bedroom, laundry room and 3/4 bath. Also featuring new carpet and exterior paint! Beautiful property with tons of room!